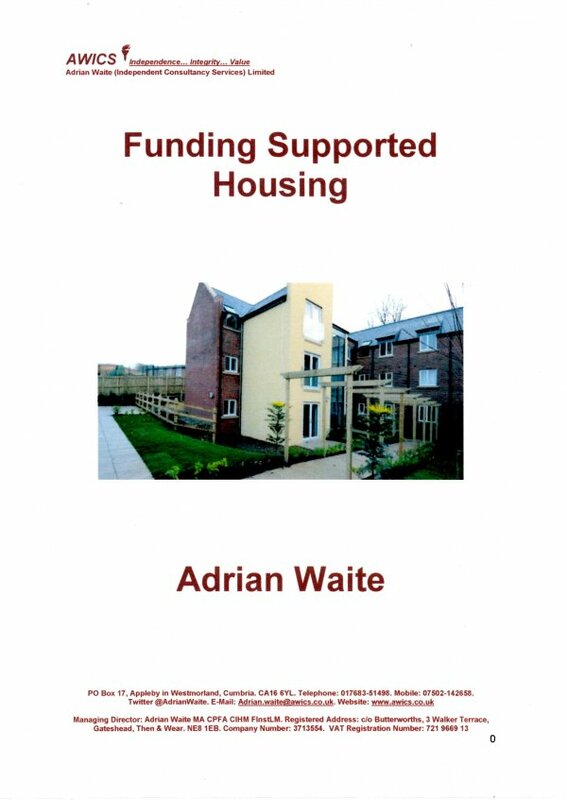 This book is designed to explain the funding of supported housing in England and the proposals that the government is making to change the basis for that funding. The Government is planning to change the way in which Supported Housing is funded with separate arrangements for sheltered housing, short-term supported housing and long-term supported housing. In future, landlords will be expected to set rents and service charges in sheltered housing based on a new ‘sheltered rent’ set by government that will also be used, in effect, to cap housing benefit and the housing element of universal credit. Short-term supported housing will be funded through a new locally administered grant. Long-term supported housing will be funded largely as it is now. The Government states that it is committed to protecting and boosting the supply of supported housing and ensuring it provides value for money and works for those who use it as well as those who pay for it. The government made a policy statement and started a consultation in October 2017. This book explains and examines the government’s proposals and their implications for local authorities, housing associations and their tenants. This includes local authorities in their commissioning and provider roles. It is designed for people who are not experts in housing finance, but who understand the basics. It is suitable for councillors, board members, housing managers, tenant representatives, finance staff and others with an interest in the future funding of supported housing. It starts with the government’s current proposals made in October 2017 and then, by way of background, considers the government’s previous consultations and responses to them.